Out welcoming programme of workshops has something for everyone. From one-off taster sessions and workshops to development schemes for aspiring creative professionals and Truth About Youth, we offer a variety of workshops, events and activities for young people up to the age of 25.  The Royal Exchange Community programme is designed to give participants real ownership of this extraordinary building. Our work with schools and colleges forms a core element of the Creative Learning & Engagement programme. Learn more about our Exchange Forum or check out the latest Tours & Workshops available for groups of all ages.